Are your holidays marred by worries and anxieties? 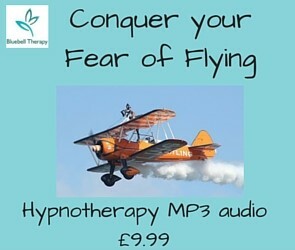 This hypnotherapy audio takes the fear away from flying and helps you to enjoy your holidays once again, opening up new adventures and experiences. Please do not use your audio while driving or operating machinery.Hypnotherapy is a very safe form of therapy. However, please do not use if you have a history of psychosis or a drug or alcohol addiction. If you suffer from epilepsy, please consult your doctor prior to using hypnotherapy. Remember, your safety is your responsibility.